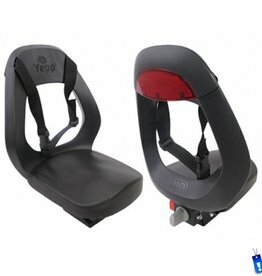 We reckon the Yepp Mini is simply the best child seat on the market. Its forwards position on your bike puts your little person in the best place possible to be safe while watching the world go by: right under your nose. 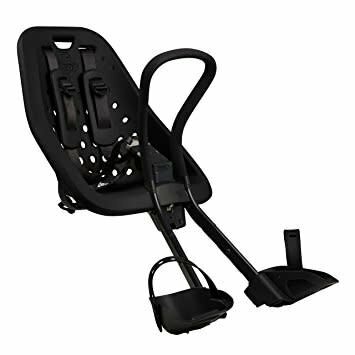 Suitable from when they can sit up confidently (around 9 months) until they reach 33lbs (15kg), the Yepp Mini sets the standard for safety and comfort. Its uniquely soft rubber will be familiar from Crocs shoes, making it not only comfortable but also shock absorbent, insulating and water-resistant. Plus its antibacterial surface makes it easy to clean with a quick wipe. 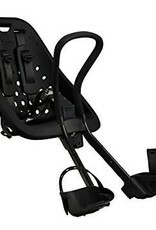 The Yepp Mini's 5-point harness with soft shoulder pads and child-proof safety buckle are secure and easy to use. 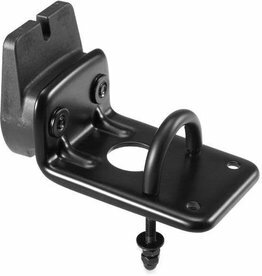 The height of the protective footrests can also be quickly adjusted without tools, and the integrated lock guarantees extra safety and guards against theft. The Yepp Mini complies with the stringent safety requirements and has won a string of awards. Yepp Mini can be mounted to handle bars that use a quill stem with the Yepp Standard Adapter or to Threadless Stems with the Yepp Threadless Adapter. Both adapters are sold separately. 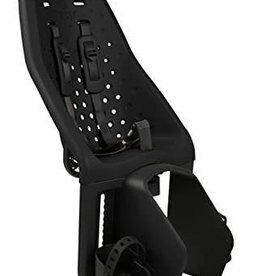 A stable, roomy and comfortable seat for getting around with your child, The Yepp Maxi Easyfit Rear Child Bike Seat is another version of the Yepp Maxi Rear Child Bike Seat, with an alternative fitting system suitable for bikes with a sturdy rear rack. Yepp Mini Standard Adapter is what you will need to attach your Yepp Mini child bicycle seat to a threaded quill stem. Yepp Mini Threadless Adapter is what you will need to attach your Yepp Mini child bicycle seat to a threadless stem, typically found on mountain bikes or hybrid bikes.